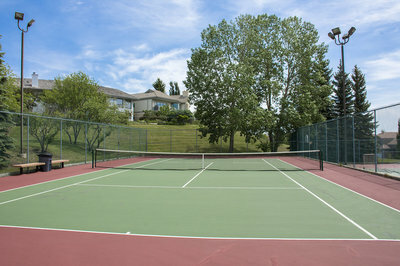 Among the Uplands amenities offered to UHA members are two outdoor tennis courts. 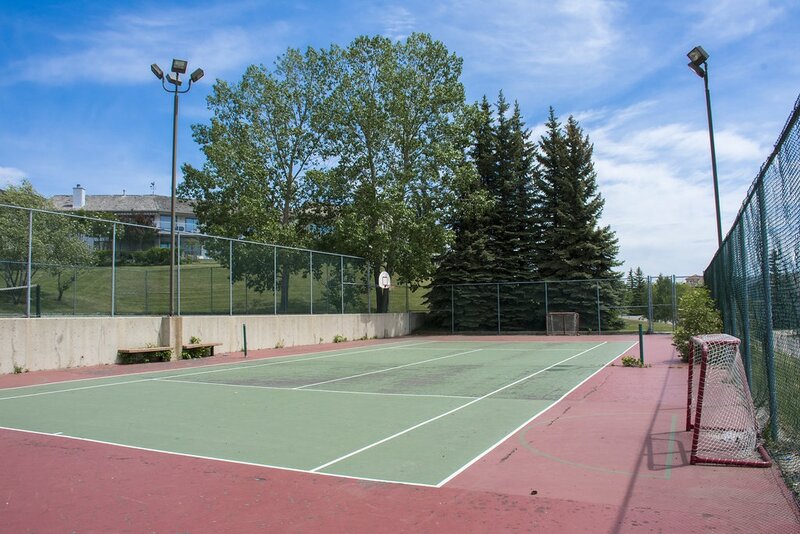 Situated on terraced levels and surrounded by chain-link fences, the courts have a commanding view of the community lands. The courts are gated. Court lights are available for evening play and their switch is also located inside the lobby, on the wall next to the washroom door. These lights are operated on a timer device. 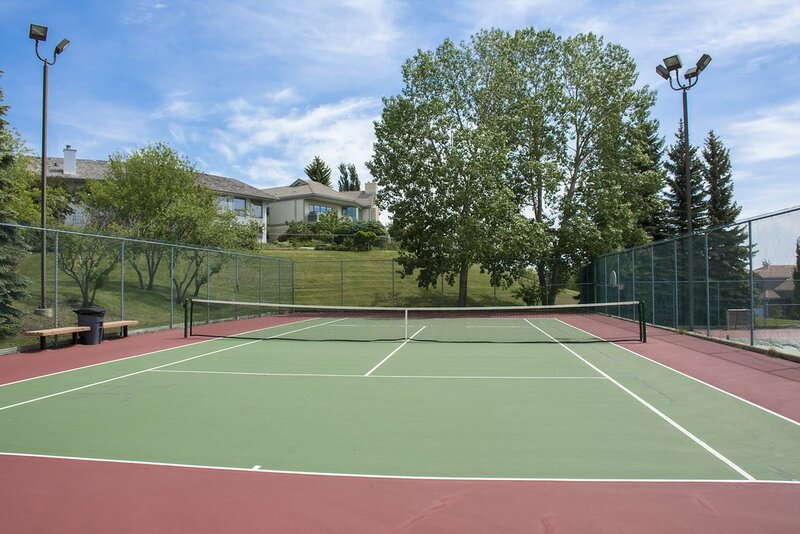 The tennis lights will automatically shut down after 11:00 PM each evening to respect neighboring homes. Appropriate dress is required and players are expected to have proper shoes with non-marking soles. 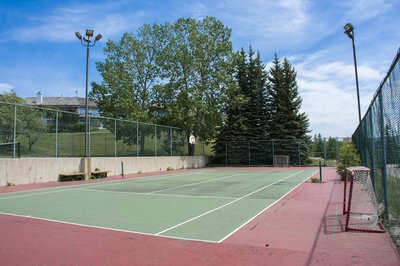 The courts have been resurfaced and hockey nets and basketball hoop have been attached. Benches and garbage receptacles are located court-side. The courts may also be accessed via the rear exit door from the Rec Centre's lower level, allowing convenient access from the locker rooms. However, this door is for exit only and no re-entry is possible. Don't forget to take your card-key with you so you can get back in through the main entrance! And please confirm facility hours: access card times are 6:00 a.m. to 9 p.m. daily. During the summer months, it is highly recommended that tennis players book a court in advance. The sign-up sheet is posted on the bulletin board in the main lobby. Times may be booked in one-hour increments. As a courtesy to other residents, consecutive bookings are discouraged. However, if the court remains un-booked during your hour, you may sign up for the next hour. Priority will always be given to those residents who have a booking. Proper attire is expected at all times. No alcohol is permitted on the courts at any time.